Let's do iPad's, Atlanta style on Thursday! We've recommended Hemmingway, and Ayn Rand, and the Economist, and the New York Times, and Julia Child, and all sorts of other reading material on Here's What You Do? But, what should you read it on? Well, the iPad is the way to go. As an all-round technology tool, it's hard to beat. 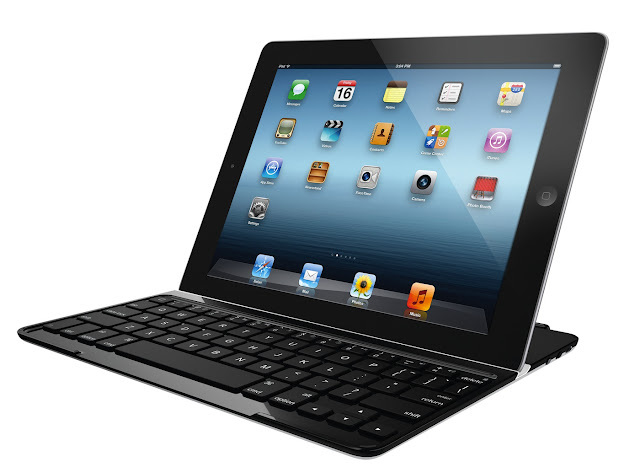 With an iPad in hand, you really don't need much else in terms of computing. It's our recommendation for taking on the world and winning - Here's What You Do Style. So, let's get you outfitted with your very own iPad and show you what you can do with it in Atlanta. Second: Buy your iPad. So, we looked around Atlanta and the larger web. And, it seems like the best deal is Microcenter up on Powers Ferry. There, you can get a previous version iPad2 for $359, plus tax, etc. Now, the current version iPad (also known as iPad3, though not officially called that by Apple) is $499 from the Apple Store at Lenox. Note that both of those iPads are 16GB, which is probably plenty unless you're planning on storing lots and lots of music and movies. Also note that neither include cellular capabilities. That means you need to be attached to a wifi network, which you can find in your house, in most coffee shops and stores, hotels, airplanes, etc. etc. We've found in the past that having the wifi version is often all you need. The display - this is clearly the biggest difference. 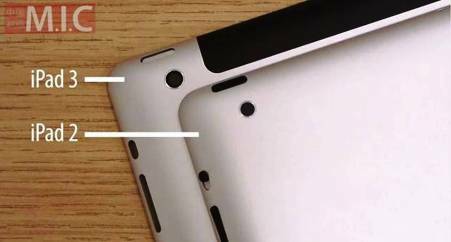 The iPad3 has a retina display, which means your eye literally can't make out the individual pixels on the screen because the resolution is too high. That makes for smoother displays of everything. Books, magazines, movies, etc. etc. This is where you really have to consider if it's worth it to spend the $. The display on the iPad3 is what Apple calls a retina display. Much higher resolution than the iPad2. The camera. If you're like us, you take lots and lots of picture and videos. The choice of camera is huge in that case. 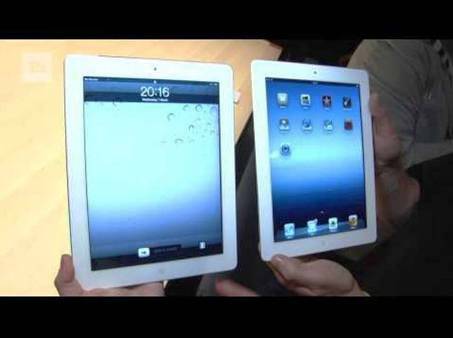 The big difference between the two is the resolution of the camera, which is 720p in the iPad2, and 1080 in the iPad3. Bottom line, the images and videos taken with the iPad2 are pretty good, and you can live with them. The iPad3 improves significantly by ramping up resolution across the board. It's up to you, but the extra cost might help you decide. The camera on the iPad3 is significantly improved compared to the iPad2. So, head on over to either Microcenter (for the iPad2) or the Apple Store (for the iPad3), hunker down, and make your purchase. DO get applecare, or Microcenter's special protection program if you're getting the iPad2. The iPad is such a technologically advanced device. Packed with delicate stuff. It just gives you peace of mind. Cost is $99-$199 depending on what you get. Third: Personalize your iPad. Ok. You have your new iPad. Now it's time to make it your own. Start with a good case. The iPad does come with a cover, but if you're going to take it seriously, you gotta go for a full case. Trick it out! Here's a great blog on the best cases out there. It gives you a really good cross section of what's available. Plastic. Leather. Ultra thin. Ultra cool. Louis Vuitton. Star Wars. It's up to you. Check out this cool Coach iPad clutch. It's $168. Works well for men or women. 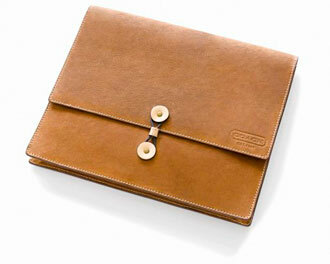 It's listed in Esquire mag's best ipad case list. An iPad Clutch from Coach. Pretty stylish my friends. Now, if you're a Here's What You Do author, you really do need to have a keyboard for your iPad. It's a must. 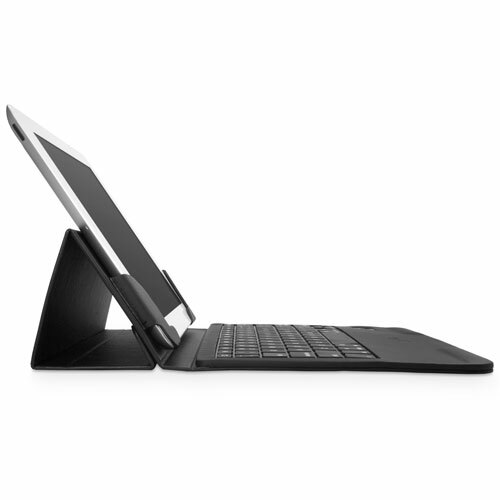 The Logitech Ultrathin ($90) and the Boxwave Elite ($50) fit the bill nicely. See below. They make crafting Here's What You Do content a breeze. 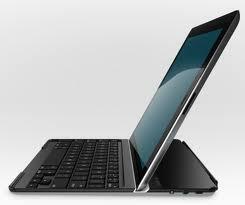 The Boxwave Ultra Slim Elite Keyboard Folio. Fourth: Lunch Time! 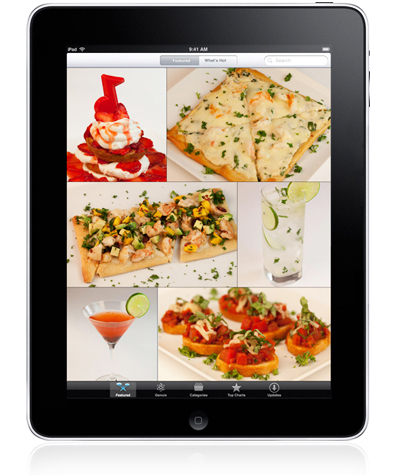 What's the best first meal to have with your iPad? That's right. Sushi. If you purchased at the Apple Store, you're just down the hall from Prime. Take a seat at the outside tables that overlook the main hall of Lenox Mall. Order some sushi and a glass of champagne to celebrate, and pull out the new iPad to get rolling. Try the sashimi, or the super crunch. It's all good. ($25 per person). Have some sushi at prime. Fifth: Read Here's What You Do on your iPad. Ok. Shameless plugging. But, the mobile version of Here's What You Do is really great. It's a very simple interface provided by Google's Blogger. And it looks great on that huge display! Especially all our lovely photos. Check out some of our older posts and enjoy! the arts of music, food and science…. We’re doing pizza, musically inspired! 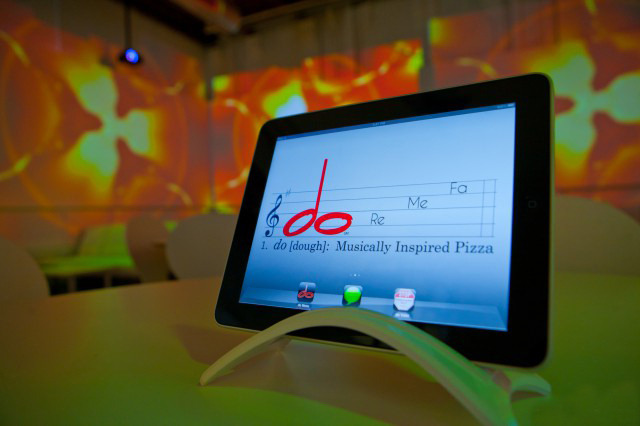 Do at the view brings you great pizza, iPad style. Ok, so we don't know about all that. But, go check it out. It sounds like a lot of fun. iPads instead of menus. Transforming walls. As a Georgia Tech grad, all I can say is, Awesome!! Check out this picture of their menu below. We hear the food is pretty darn good too. Do! Here we come! The place opens at 5:30 on Thursday. Dinner should run about $30 per person. Order your lunch, iPad style, at Do at the View in Westside. "If you’re like us, you prefer your music home grown, and not manufactured. 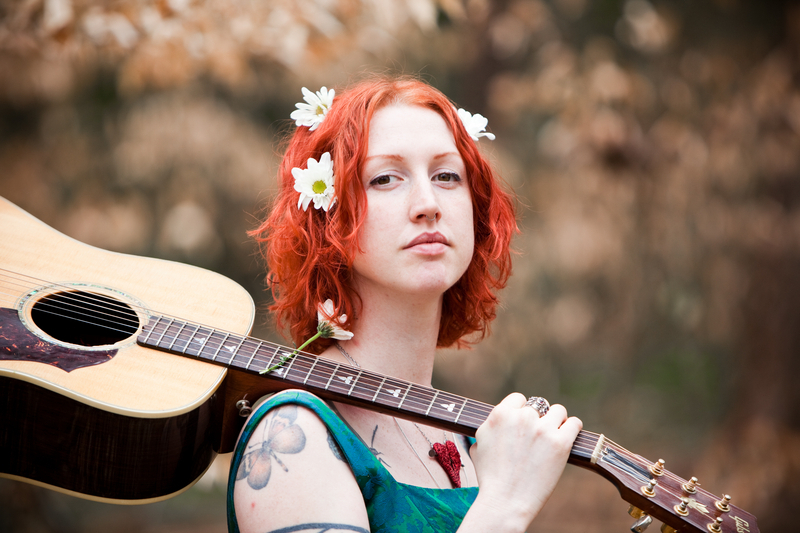 Well, musicians don’t get much more home grown than Heather Luttrell, who grew up traveling the country with her father’s band. Music began as a vital part of her childhood; it eventually became an integral part of her soul. For nearly a decade now, Heather has dedicated her life to sowing her music among the masses, cultivating a dedicated following from the ground up." Check her out at Blind Willies at 9:30 tonight. Cover is $7. Expect about $8 for a drink. You might wanna leave the iPad at home for this outing. Don't wanna spill any whiskey on it. iPad Shoping: $359 - $499 plus tax, plus Apple Care. Considered an investment. 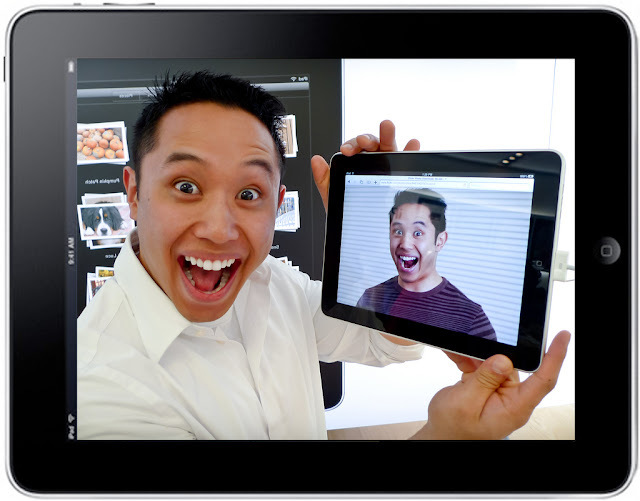 Personalizing you IPad: Up to you - part of the investment. How About Some Blues: Thursday, August 16, 2012. Sweet Charity: Thursday, August 9, 2012.